The IMO president has written to Minister for Health James Reilly saying guidelines are needed to help determine the suicide risk in these cases. 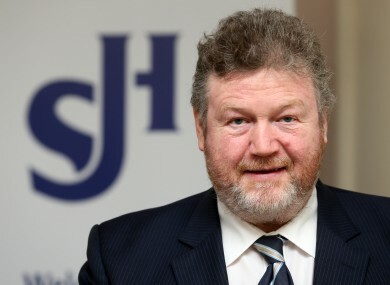 THE PRESIDENT OF The Irish Medical Organisation has written to the Minister for Health James Reilly asking that guidelines be put in place to help doctors dealing with cases under the Protection of Life During Pregnancy Act. Dr Matt Sadlier told the minister that guidelines were needed for psychiatrists who are required to determine if there is a real and substantial threat to the life of a patient by suicide. Sadlier also wants guidelines developed for GPs who have a conscientious objection and must refer a patient onto an alternative practitioner. The IMO president told the minister that it was “very regrettable” that guidelines were not put in place to accompany the law as it was enacted. “Guidelines are even more important where cases are expected to happen rarely such as cases where there is a risk of loss of life from self-destruction,” said Sadlier. Under the act, if there is a substantial risk to a pregnant woman’s life due to suicide and it is deemed by two psychiatrists and an obstetrician that this can only be averted by a termination, the procedure is lawful. But Sadlier has complained to the minister that psychiatrists have been given no help to make this determination. “There are no guidelines available for psychiatrists who are expected to certify if there is a real and substantial threat to the life of a patient by suicide,” he explained. The aim of the Protection of Life During Pregnancy Act 2013 is to provide clarity to both women and medical practitioners, however, in the absence of clinical guidelines, medical practitioners are faced with continued uncertainty. Sadlier said that the aim of providing these guidelines is all about ensuring that patients get the most appropriate care. “Failure to comply with best-practice guidelines can lead to the rapid deterioration of a patient’s condition and/or death. All the cases provided for by the legislation are rare and therefore guidelines are required to ensure safe, quality and timely care,” he explained. In advance of guidelines being put in place, the IMO say that urgent arrangements are needed to support medical practitioners in the interim. Email “Psychiatrists need support dealing with Protection of Life During Pregnancy Act - IMO”. Feedback on “Psychiatrists need support dealing with Protection of Life During Pregnancy Act - IMO”.